Now this isn’t necessarily representative of the entire user base, because I’ve heard that typically only 5% of Subscription customers ever use support. This chart represents only the Softimage users who contact support, and relies on the user-selected values for the operating system. 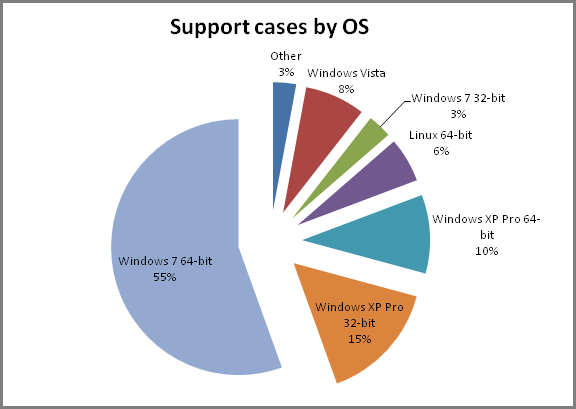 Note the low number of Vista cases. It’s almost all XP or Windows 7, and the XP cases come mostly from Japan.